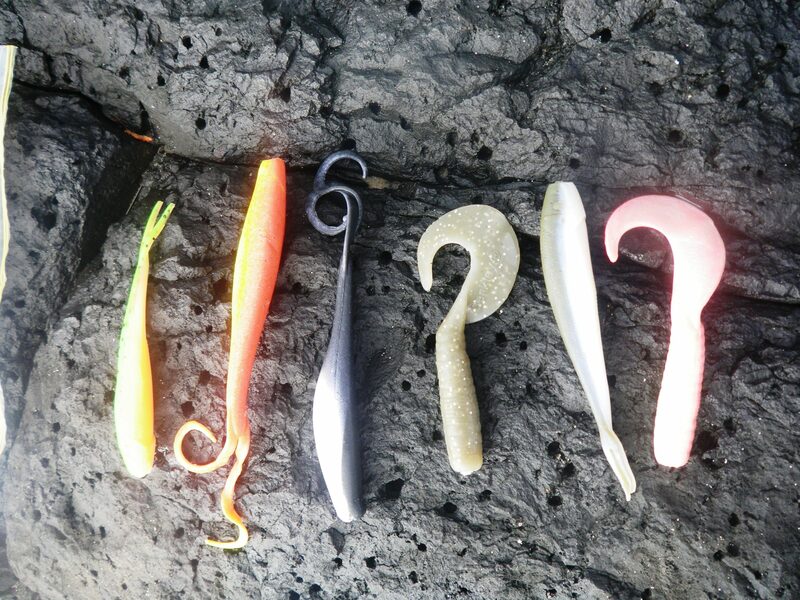 The wind played up at Bribie on Saturday and my fishing results were not that impressive. 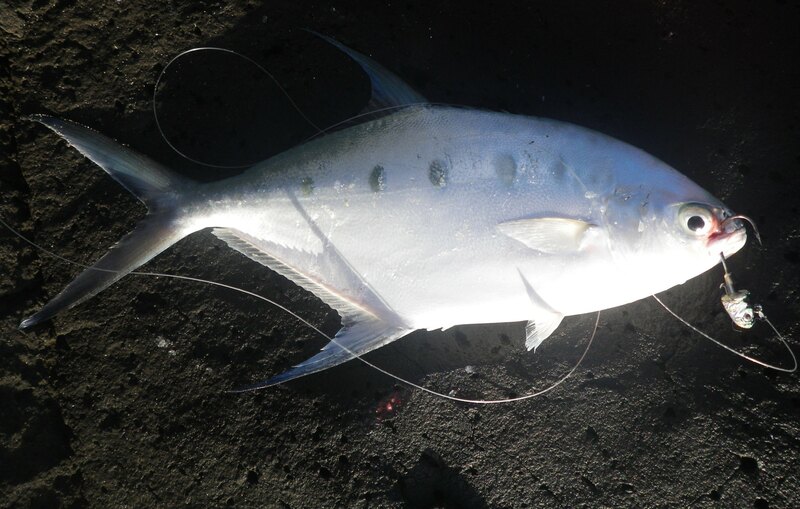 On Sunday, I decided to go back down to Fingal Head to fish off the rocks. September should be Tailor time but the last few sessions here have been a bit disappointing. Low tide was around 6.30 am and so it was easy enough to skip across to the causeway, between waves. I arrived about 5.30 am but I was not the first there. As ever, I was hopeful that the one hour either side of dawn, would produce a few fish. Well it did, but not for me. Just on dawn a chap to the left of me pulled out a 40cm Tailor on a hard bodied minnow lure and a few casts later, he got another. Then the chap to my right got one on a small slug. I fished on with a soft plastic minnow and was eventually rewarded with a decent Dart, but no Tailor. The chap to the right caught another Tailor, also on a hard bodied Rapala minnow. The wind picked up just after dawn and carried on rising until it was probably a 20-25 knot south-easterly. The water looked very fishy but there was not much bait around. At about 7.00 am, Lee, the Scotsman to my right, who already had a couple of Tailor, hooked into a solid fish. 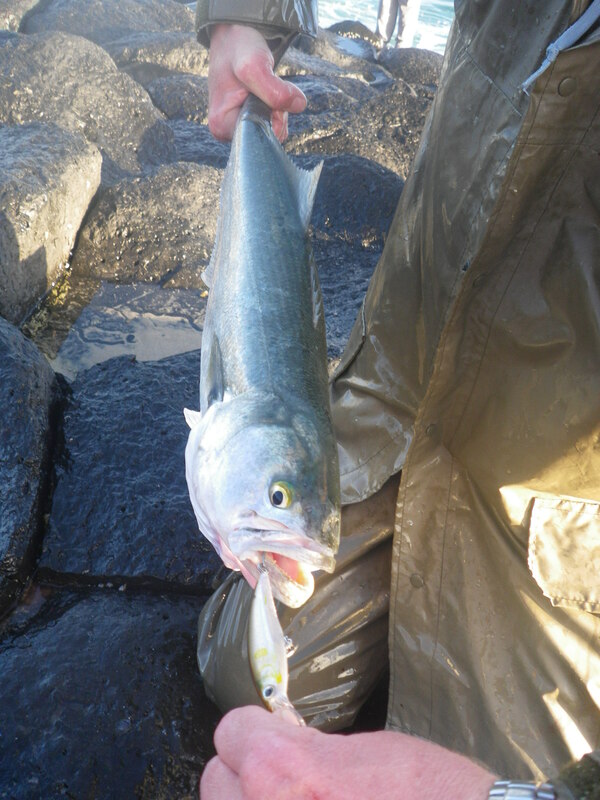 He held on tight and copped a soaking from a big wave but managed to land it. It was a great Tailor – I would guess around 2.5kg. I carried on fishing, using every colour of soft plastic in the box, but I could not tempt them. In fact, no one could and at around 9.30 am I climbed back up to the lighthouse and headed for the car. It was good to see few people catching Tailor. According to all the reports they are certainly around, in numbers, in the Tweed River. They must start feeding around the headlands soon. 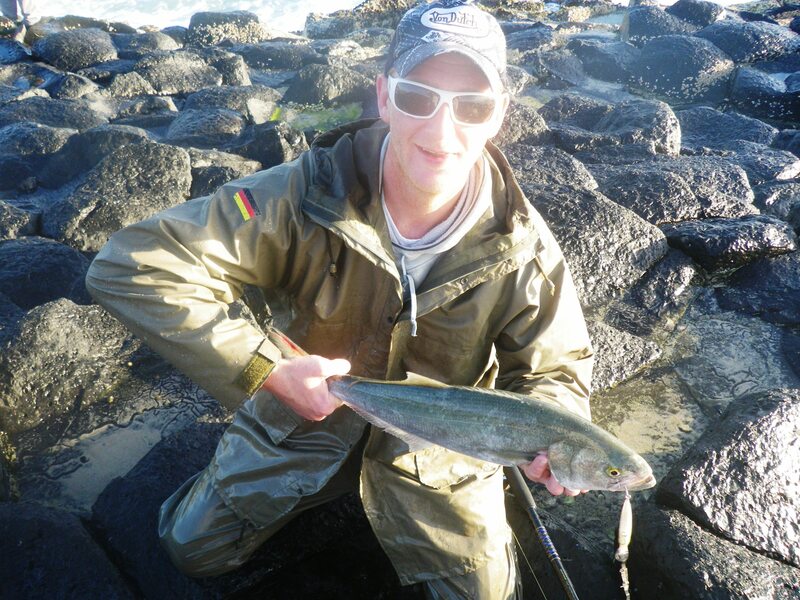 This entry was posted in Fingal Head, Fishing Reports and tagged Dart at Fingal Head, fishing for Tailor with hard bodies, fishing for Tailor with soft plastics, Tailor at Fingal Head, Tailor on hard bodied lures. Bookmark the permalink.